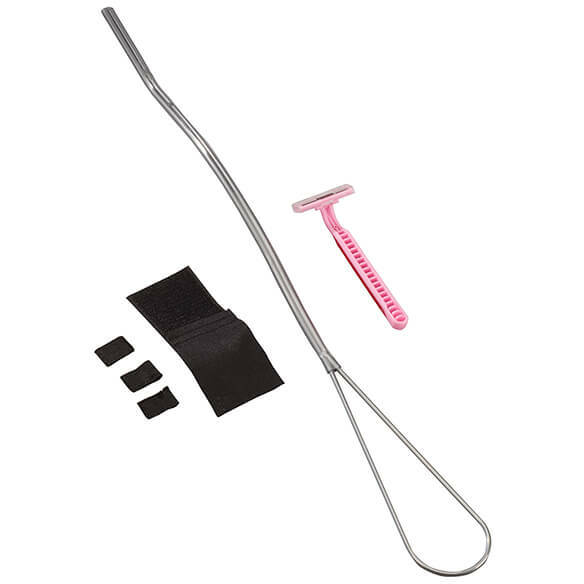 Unique extension handle for razor extends your reach for easy shaving. 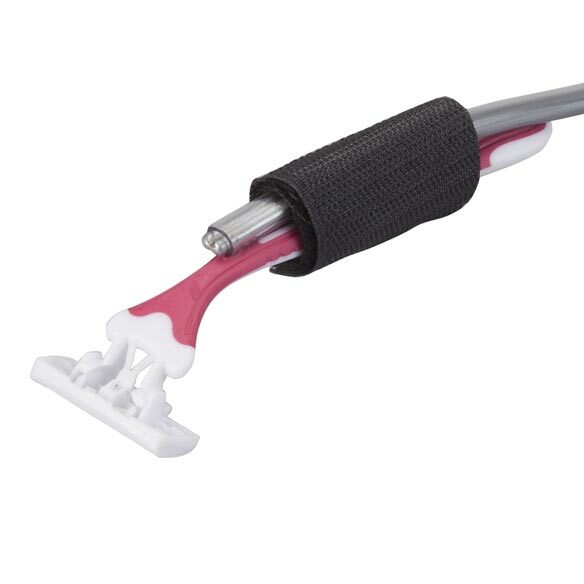 Simply attach a razor using the durable hook-and-loop closure and shave your legs with less bending and reaching. 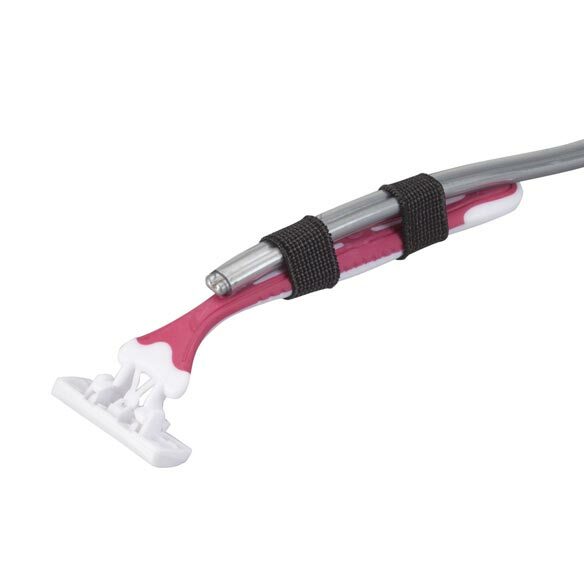 Razor handle is designed for use with standard, disposable and electric razors. 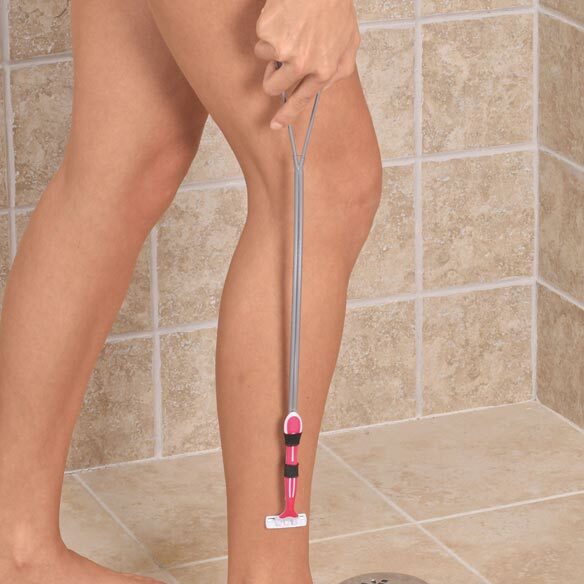 Razor extension's flexible handle adds 20” of reach for comfort and safety in or out of the bath or shower. Perfect for anyone with limited mobility or small spaces. Use with included razor or attach your own. Sale price and I need it. It was needed and was lucky I found it! have problem reaching, hope this will help. Want to try this out! never used it before. I'm hoping it works. I have a disability that makes it difficult,lt for me to reach out. For my convenience since I hurt my back I don't bend over like I use to in my younger years. After more than one back surgery, I can't lean over enough to reach far enough to shave well. I have hip restrictions and cannot bend over to shave my legs. due to surgery can not bend, hoping this will help. Hopefully to make shaving easier. We will see when I get it and use it. Convenience bending due to hip replacemet. To enable me to reach entire let=g.